Tambour storage solutions are the perfect answer for any kind of workplace which is struggling to deal with limited space. Refurbished tambour cupboards are a great option for all kinds of office spaces. This kind of furniture has been designed to save space without compromising efficiency or availability of storage space. Here at Pennington’s, we are proud to offer a wide range of used tambour storage solutions to suit all kinds of offices spaces and designs. 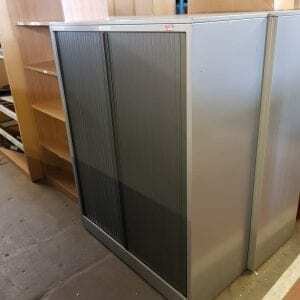 In addition to free-standing storage units, we can also offer a range of desk-based tambour solutions. These are a great option for both modern and traditional offices. If you’re struggling to find the perfect storage solution for your office space, either due to the cost or style of the available options, then one of our tambour designs might be the perfect choice for you. These styles are not only designed to offer high-levels of practicality in the workplace, but because they are second-hand, they are available at a fraction of the cost when compared to buying new. For more information on our wide range of available used tambour storage, get in touch with our team today. You can reach us directly by calling 0800 688 9018. 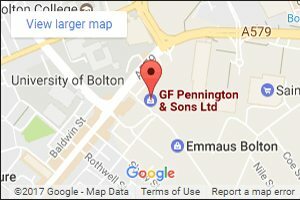 Alternatively, you can email any queries you might have to sales@gfpennington.co.uk and we’ll get back to you as soon as we can.